Delta Air Lines announced Monday the addition of nonstop flights from Los Angeles to Paris-Charles de Gaulle and Amsterdam Schiphol airports. With the introduction of the new routes, Delta has now linked all of its hubs in the United States to the airline’s two largest hubs in Europe. The year-round Los Angeles-to-Paris service will operate three times weekly, and the Amsterdam flights will take place four times a week. 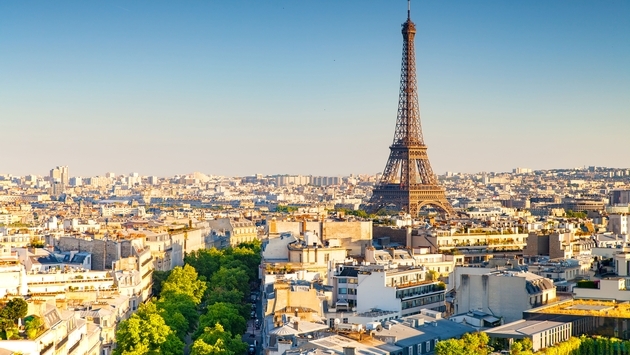 Delta passengers flying to Paris and Amsterdam will also have access to destinations across Europe, the Middle East, India, Africa and Asia through the carrier’s partner airline network offered by Air France, KLM, Alitalia and Jet Airways. “The start of our new Los Angeles nonstop services to both Paris and Amsterdam offers our customers even more nonstop choice on Delta to its key European hubs,” Delta senior vice president Dwight James said in a statement. The new service reaffirms Delta’s commitment to Los Angeles, where the airline is investing $1.86 billion to modernize, upgrade and connect Terminals 2, 3 and the Tom Bradley International Terminal. The carrier operates more than 170 flights from LAX each day. The addition of the routes from Europe to LA is in response to increased demand for travel to the West Coast, with visitor numbers from France and the Netherlands to California up 15 percent last year. Delta also added flights to Amsterdam from Orlando in March and to Paris from Indianapolis in May.